Morning Redfish Bite was Awesome! David and Scott put a hurting on the redfish this morning with 17 caught!! Posted in Fishing Charter Pictures	| Comments Off on Morning Redfish Bite was Awesome! The redfish bite was strong this morning, Mr Tom and Roger caught 21 reds and topped it off with a 24″ trout!! Morning and afternoon trips had some decent trout catches. Caught 4 over 20 inches! Michael and Joe Crush the Redfish! Sun up redfish! Decided to beat the full moon at its own game and got out before daylight! Had two doubles and 15 in all!! 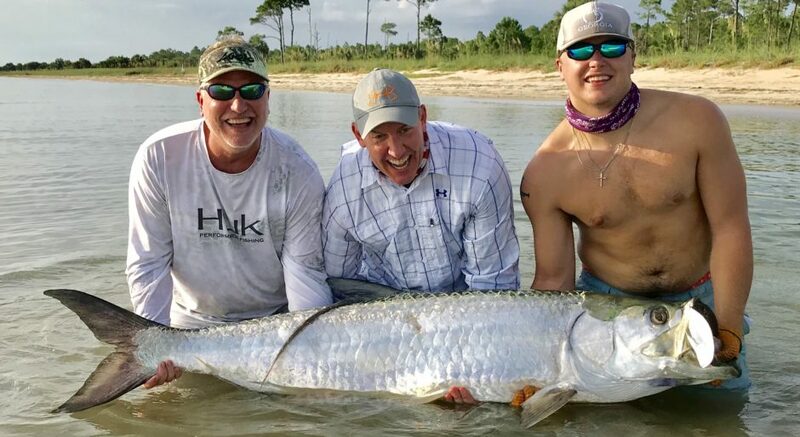 Posted in Fishing Charter Pictures	| Comments Off on Michael and Joe Crush the Redfish! Joe caught his very first ever redfish this morning! We managed 3 more reds and 4 trout on a slow bite today. Just a few of the many beautiful fish from this morning! Posted in Fishing Charter Pictures	| Comments Off on Another Great Fishing Day! Wow are the Redfish Hot on Cape San Blas!! John and Steve caught the heck out of redfish on Cape San Blas today!! Posted in Fishing Charter Pictures	| Comments Off on Wow are the Redfish Hot on Cape San Blas!! Filmed Anglers and Appetites TV Show Today! Had the pleasure of filming an episode of Anglers and Appetites for Fox Sports South this morning with host David Zelski! Put him on some reds!!! Posted in Fishing Charter Pictures	| Comments Off on Filmed Anglers and Appetites TV Show Today! Mexico Beach Big Reds and Jack Crevalle! Saw one cobia today but no love! So we sight fished some bull reds and jacks out of Mexico Beach!! Posted in Fishing Charter Pictures	| Comments Off on Mexico Beach Big Reds and Jack Crevalle! Cape San Blas Redfish Explosion!! Posted in Fishing Charter Pictures	| Comments Off on Cape San Blas Redfish Explosion! !